Most people get stuck when it comes to content publishing ideas. More than likely, the only content they can think of is “blog posts. But did you know there are at least 30 types of content you can publish online? We had to say it. But take note that short blog posts are going out of fashion again. Google has let it be known it will penalize blog posts that are so short, Google feels they are nothing more than excuses for ads and affiliate links. Their emphasis on “quality, original content” has all the top bloggers writing posts over 500 words long and very often, twice that number of words. Still at the height of popularity, the latest trend is to impart information in visual format people can absorb with a single glance. This works so well not so much because many people are visual learners, but because all of us internet-and-mobile age denizens have trained our brains to scan-and-glance digital content, to see if it’s worth spending time exploring further. 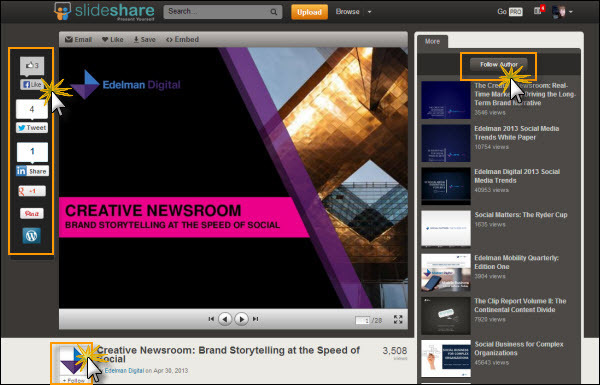 Social platforms such as SlideShare make it easy for people to share slide presentations. 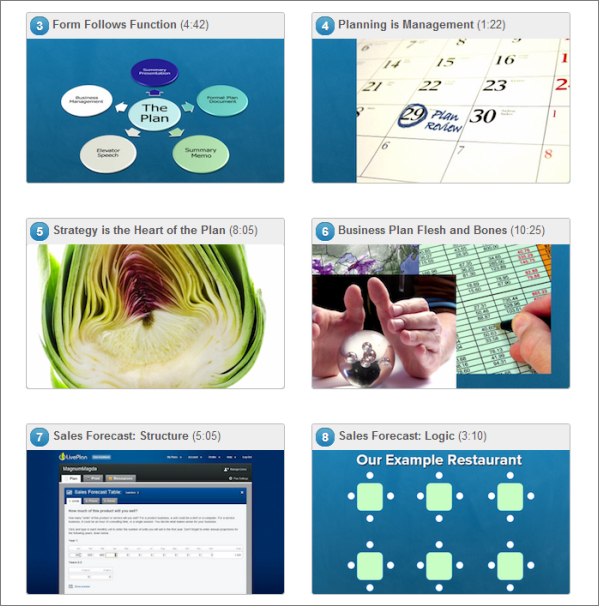 You can create these as stand-alone information modules… or as accessories for webinars you are holding. Plus you can have people follow you from SlideShare – and share your work across other social networks. And anything else you’d like them to share. This is a brand new, dynamic and interactive way to present Skype interviews – a live link for people to join in and a blog transcript for those viewing the post after the call has completed. 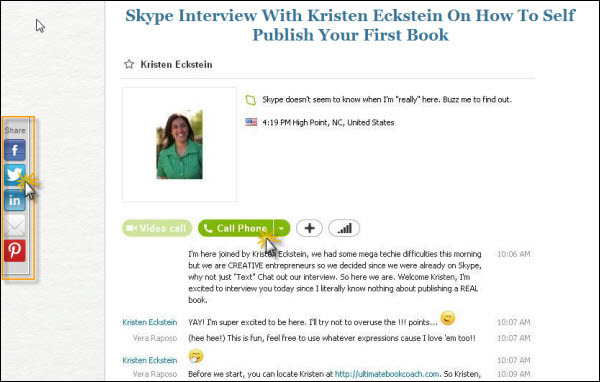 Again, you can generate shares and follows for this type of content – as well as sharing your interviewer/interviewee’s website link, as Vera Raposo of Creative Biz has done with Kristen Eckstein’s Ultimate Book Coach site. Short pages you send people to so they will sign up – either for your newsletter, a “freebie”, your website or blog – or a paid product. Pick the format that best suits your audience’s engagement style. You can make your website more interactive by providing Podcasts — .MP3 audio files your visitors can listen to (or download, if you let them). 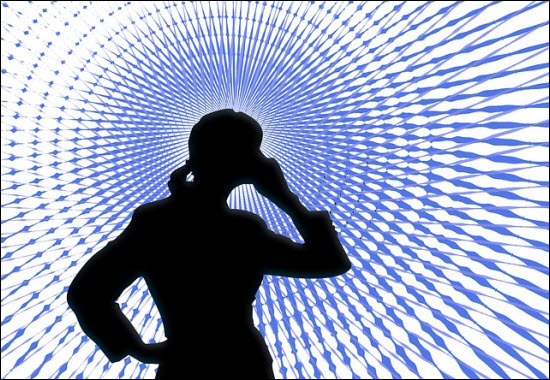 They can listen in real-time, if you provide a teleseminar phone link – and then enjoy the recording in podcast format on your blog. 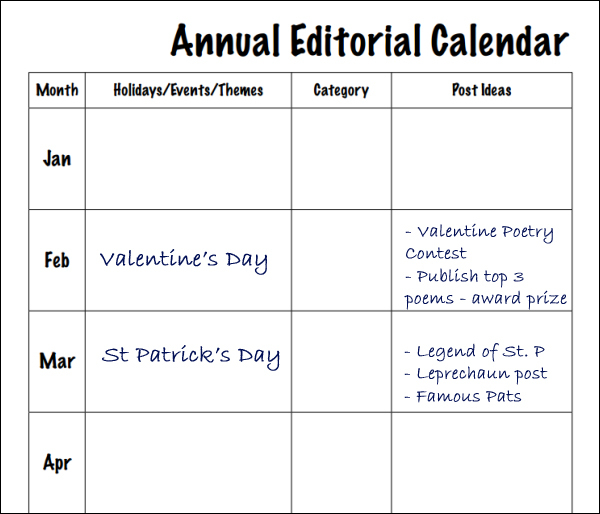 Everyone who owns a blog or website should have a newsletter – and archive old newsletter editions either on a Media page or in an Archives page. Newsletters provide an instant history of your business. People can go through each newsletter, from your very first one, and see where you started out – and where you are now. If your newsletters are high enough in value you can even choose to keep them in a hidden section for paid members of your membership site. People will return again and again to your site if they know you have great resources such as templates at your site. These can be blog post templates, review templates – even HTML templates. 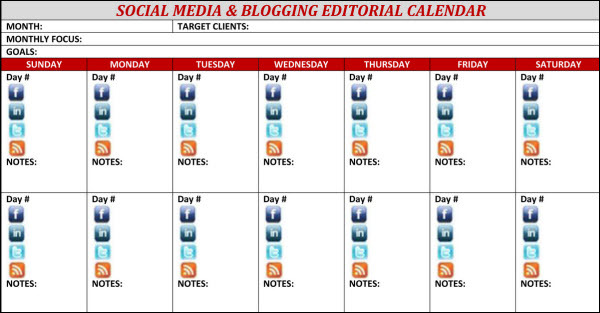 This is another desirable type of content to offer as a sign-up incentive on your blog or website. The key is to make it highly specific to their most pressing interest at this time – or to new technology that is affecting their niche: (E.g. “30 Tips For Making the Most of Facebook Changes”). 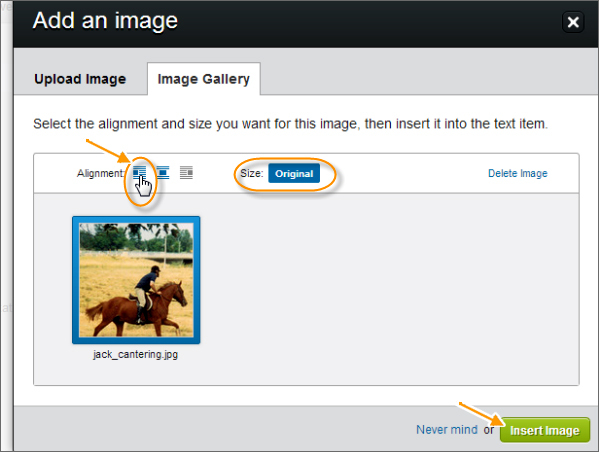 We don’t just mean “stick a picture in your blog post”. Image use should be an integrated strategy you use to brand your business and tell your story. They should consistently support your online identity and “voice”. There’s been such a prejudice against “distracting” animations; this is not a method most people think of, when it comes to content creation. Yet under the right circumstances, they can be used effectively. a) Choose a “loop” that looks natural repeating (e.g. a candle flame flickering, water gently tossing in a bay), rather than a moment in time endlessly replaying. b) If you just want to catch attention, simply set the animation to repeat only once, as laid out in this Yahoo answer. 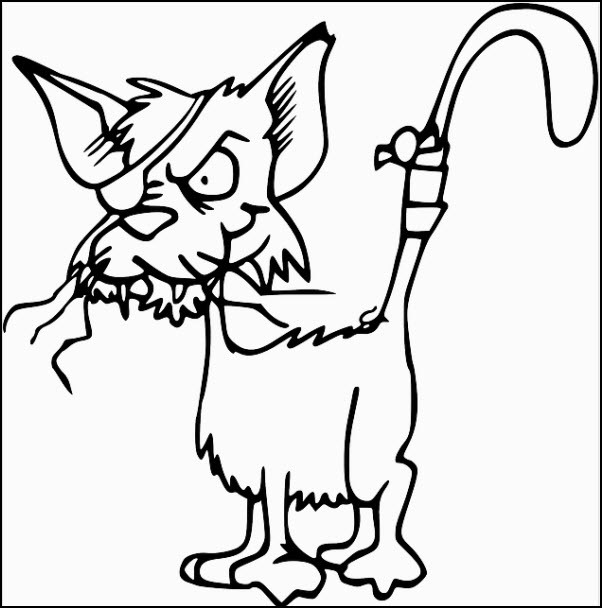 There are many free sites that allow you to create animated .gifs. Two that are easier than most are Lunapic and Makeagif, with tutorials and wizards respectively. Every online entrepreneur should make videos and share them across platforms like YouTube, Pinterest and Vimeo. The real issue is what type of video best supports your business? 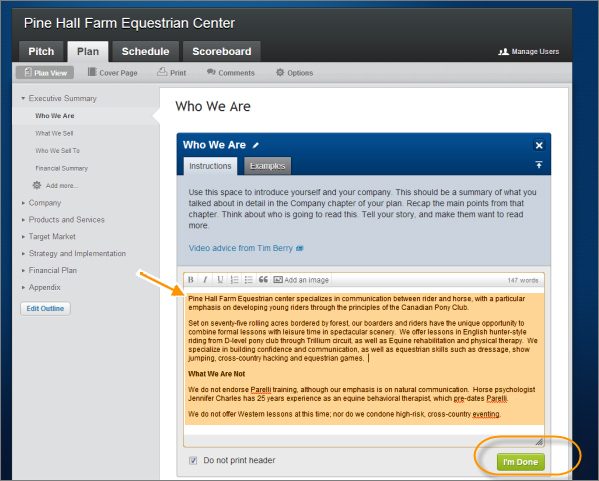 You can offer eBooks and reports in .PDF format as sign-up incentives for subscribing to your blog or website. Another great sign-up incentive – or bonus. 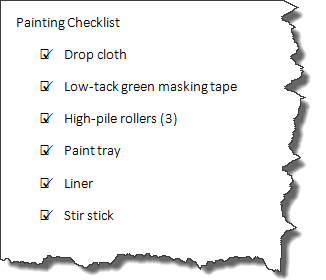 People love checklists – it helps make them feel organized in a world of chronic digital overwhelm! You can host a meeting, interview or seminar by creating a “Hangout” within your Google+ account. Ask fellow Circle members to join you. Better yet, choose the live streaming option to help it go viral, if it’s something you want everyone to see, and it will automatically be recorded and uploaded to your YouTube channel. A Logo that captures in a blink the essence of your business (and helps people instantly think of it) is essential, if you’re branding your business rather than you, yourself. A “white paper” is much like a report, but is usually a formal presentation of statistics or a document analyzing something of great importance to your website visitors. If your target market is corporate-minded, white papers are usually deemed of more value than “reports”. This is one of your best pieces of online real estate. While you are talking about yourself, you are doing so to build identification and rapport with your ideal visitor, so even when talking about yourself, it should really be all about her. 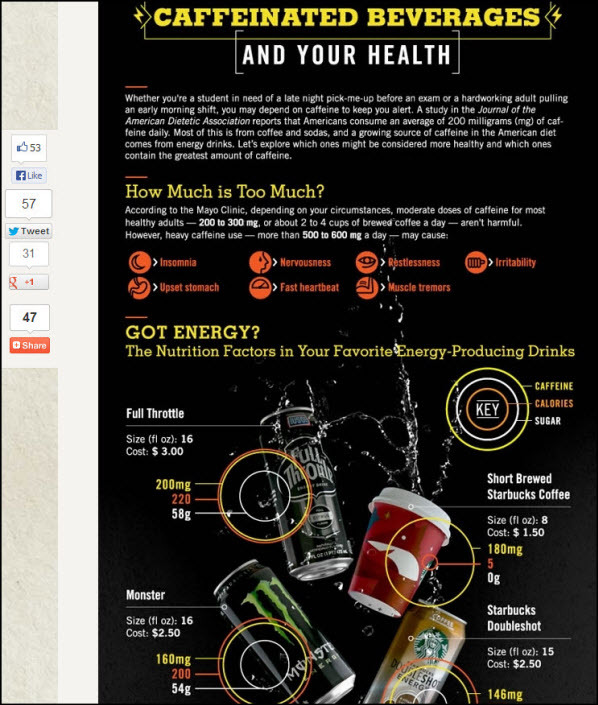 Use your top keywords in your About page contest. And it’s a great spot to put a headshot, if you haven’t done so anywhere else on your site. A coupon can also add value to your offer or website. You can make them printable, if you have a local business… or give a coupon code at checkout to sweeten an offer. Just be sure to set a start end date (and limit the number), to keep your ROI in the black! Are your best paying customers avid Smartphone users? Then put QR codes on your website, blog, business cards, flyers, merchandise – and more. You don’t often see cartoons in digital marketing – but that’s all the more reason to consider using them, if your niche members are highly visual-oriented. Having a list of Frequently Asked Questions on your site is a great way to please visitors – and cut down on repetitive emails. A FAQ page is also indispensable in your Affiliate section, if you have affiliates. If you are an affiliate marketer, you’ll know you need to provide a Disclaimer or Disclaimer Page, stating that you may receive compensation for recommendations. Indispensable, if you’re a local business and want people to either visit your premises or see your range of service. 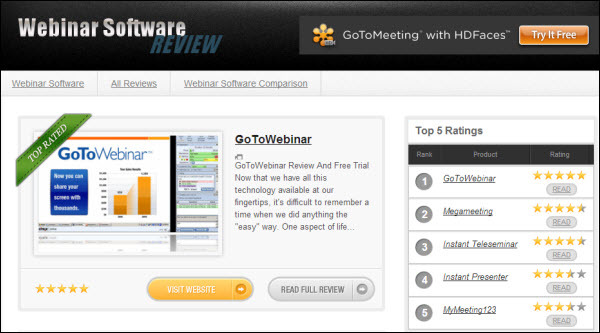 If you are recommending products, use a review template to provide consistent reviews. Your aim should be to become a trusted resource for people in your niche, so that yours is the site they turn to first, when looking for product information. There are many more content types you can use on your website and/or social media properties – but whichever you choose, be original, unique – and tuned in to your visitors. You have your excellent business idea ready to go. Now you need funding. So the next step is to create an investor ready business plan. There is the hard way to do this and there is the easy way. 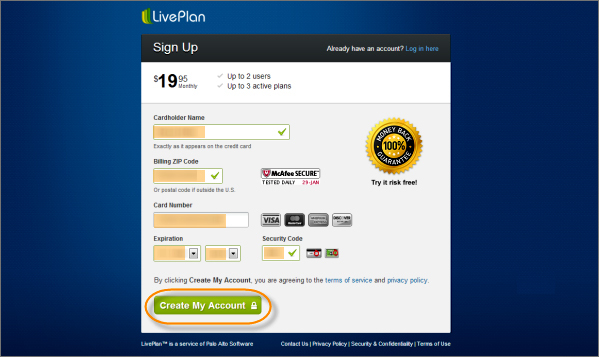 You’ve decided to make things easy and sign up for LivePlan. This guide will walk you through quickly setting up your account and creating your first investor ready business plan. LivePlan is safe and secure. There are over 500 sample plans and templates. You can access it anywhere, from any device (as well as allow your team to work on the plan with you). 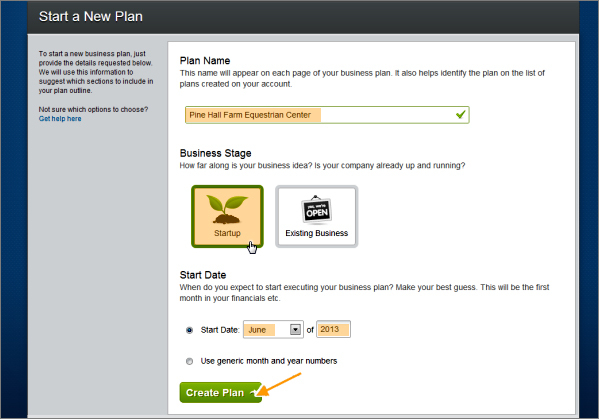 You can also integrate your LivePlan business plan with QuickBooks, for really easy financials. 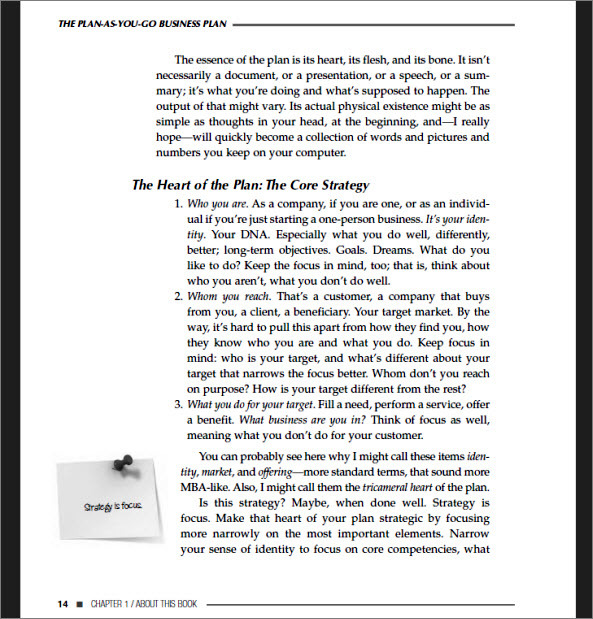 And Tim Berry’s “Plan-As-You-Go Business Plan” ebook is included with your subscription. Go to LivePlan. 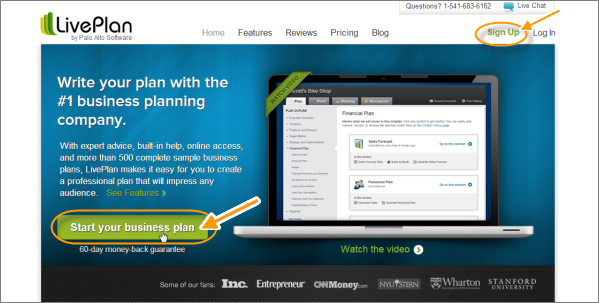 Click on either the green “Start your business plan” button or the “Sign Up” link. Fill in your contact information. LivePlan will confirm that your data is not a duplicate of someone else’s as you enter your information. Enter your credit card information, including your zip code or postal code, and your three-digit security number (found on the back of your credit card). Press the green “Get Started” button in the next screen that opens up. Download your free ebook (bottom right corner): Then make a note of the Help phone number and times, and finally click on the green “New Plan” button. You’ll build your plan around what author Tim Berry calls the “core” – market, identity and focus. This will help you create a dynamic, active plan – not a “ponderous document” that is guaranteed to put your investors to sleep. Yet it will contain all the hard data you need. 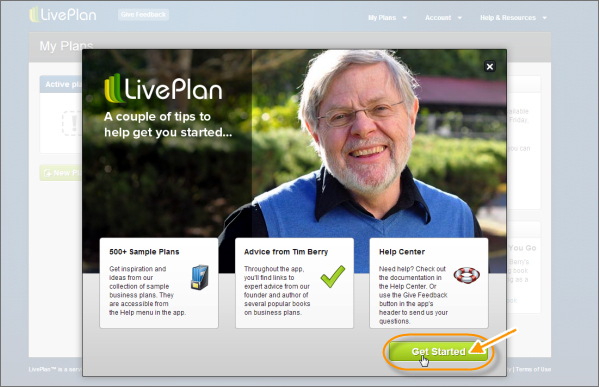 You will love planning with LivePlan, whose aim is to help you “keep it simple and practical”. Before you go any further, take the time to read Berry’s ebook. If you’re in a hurry, go to Page 14 and treat the three points he makes as an exercise: Brainstorm and write down your core competencies and focus. Once you’ve read through the book (which is not a long read at all) and done your preliminary brainstorming, return to your LivePlan screen and continue creating your first Business Plan, using the easy Wizard. Name your plan, indicating whether or not it is for a new business. For our purposes here, we are going to create a simple Start-up Plan. You may find it easier to start by selecting “Strategy” – though jumping immediately to your financials is also an option. The next frame that opens up presents a myriad of options. Don’t let this throw you. What the Chapter Set-up Page does is allow you to work organically. 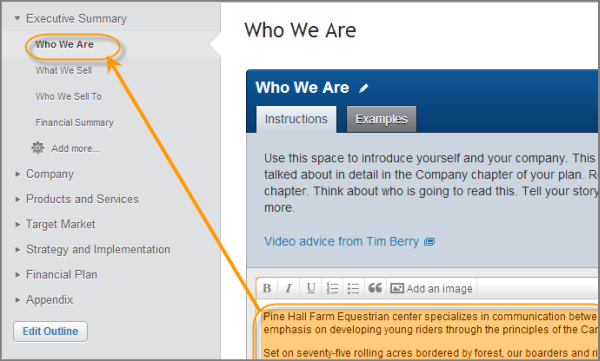 You can add, remove, re-order or rename the sections shown on the Chapter Set-up page. This interface allows you to work in whatever way works best for your methods of processing information. It also allows you to organize your chapters. A Scoreboard – all using the horizontal tabs at the top of the interface. 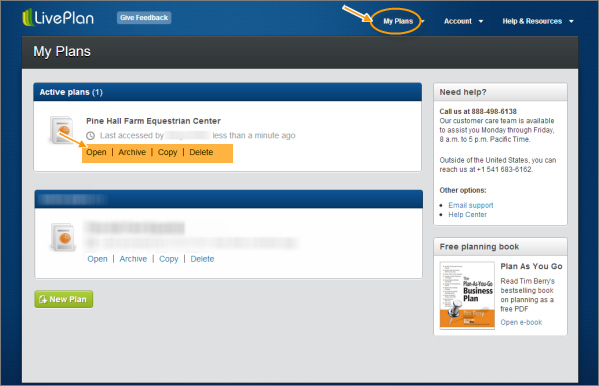 If you want to manage your Users, simply click on the anchor text at the top right. 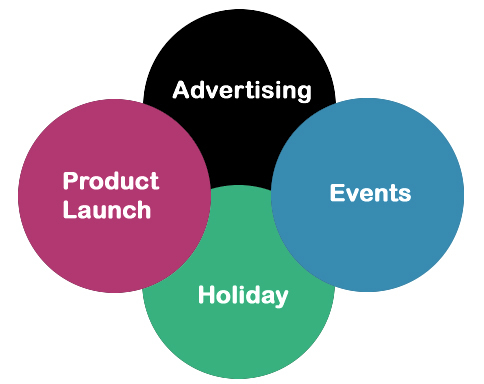 We are going to create our sample Start-up Plan in a chronological, linear fashion, beginning at the beginning. 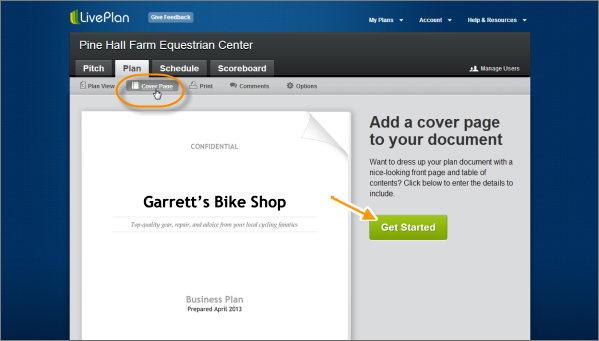 Select “Cover Page” up in your horizontal menus: Then click the green “Get Started” button. 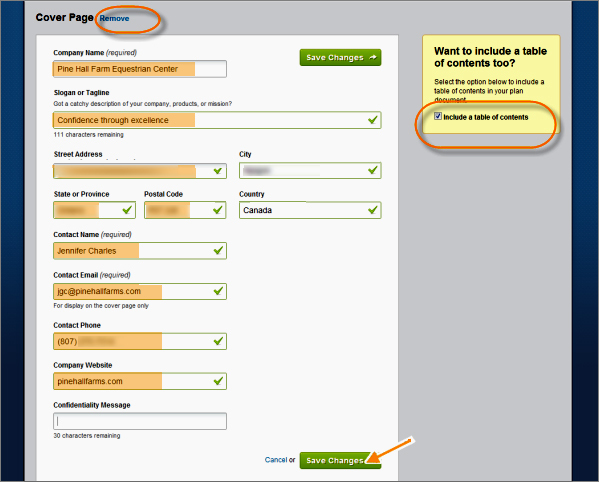 Enter your contact information and other cover page data; then press “Save Changes”. Be sure to keep the radio button checked in the yellow Table of Contents box, if you want to include a fluid TOC, which will grow or shrink as your document does. Once you’ve saved your changes, you won’t see any sort of prompt as to what to do next. 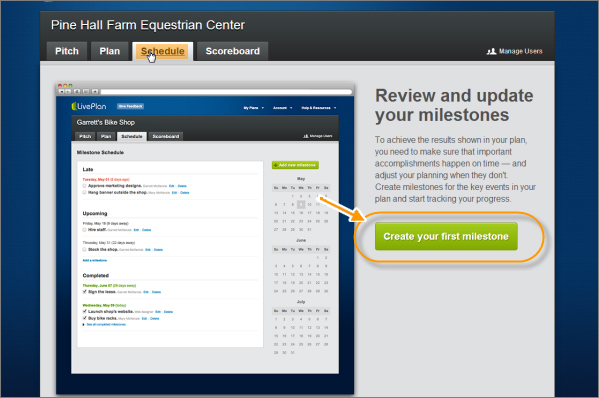 Simply go up to the top-left area of your screen, and click on the “Plan” tab, to return to your Chapter Set-up overview. Next, write your Executive Summary. Remember Chapter 14? 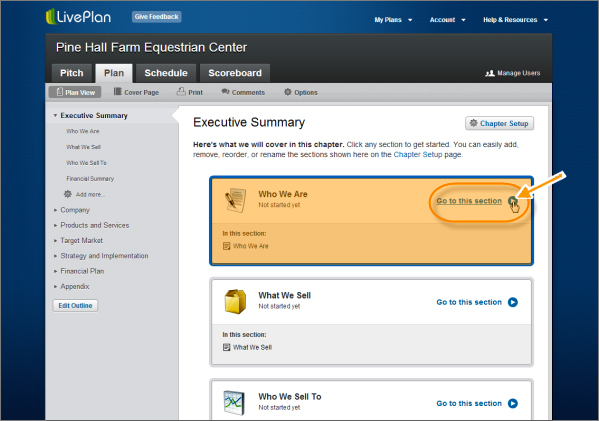 It’s broken down, section by section, into an easy-input Executive Summary creation tool here. If you made any notes, now is the time to copy-paste them into your sections. Type or copy-paste in your data. It’s a good idea to open a simple text-editor such as Notepad, and copy-paste sections back and forward to your business plan Wizard entry fields. Keep referring to the left-hand menu for prompts as to what information should go in each field. Don’t worry about putting the “wrong” information in each field. You can always move text around by copying and cutting your text, selecting sections in the left-hand, vertical menu; then inserting your clipboard text. You may also decide – at any time – to include a section detailing what your business is not, in order to narrow the focus for your market. These differences should be limited only to key discrepancies that might affect your investors’ decisions; not minor ones. They should dis-qualify specific elements in your potential target market. Don’t be afraid to use specific industry terms – this shows you know what you’re talking about – but do avoid jargon and “filler” phrases, whenever possible. Also be sure to proof carefully as you go. While LivePlan will underline obvious spelling mistakes, just as MS Word does, it doesn’t catch such errors as a missing initial capital letter in titles. Once you’ve finished, pressed the green “I’m Done” button. You’ll immediately be able to see how your text will look as a finished product. When you’re finished editing (or if it’s fine, the way it is) press “Go to Next Section”. Repeat this process with the next section; and the next – all the way through the left-hand vertical menu – to complete your Executive Summary. Pay particular attention to the tips contained within the “Instruction” area above the textarea box (highlighted in orange). Note also that you can apply common formatting commands to your text from the format bar – as well as add images. You’ll be prompted to upload your image. You can either do so from your hard drive, or simply drag-and-drop your image from an open file or from your desktop into the image area. Resize or align your image as you wish. Click the green “Insert Image” button when you are satisfied. 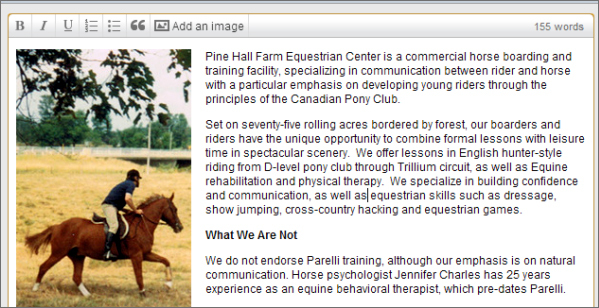 Once you press the button, you’ll see your image nicely positioned within your document. As you go through each section, be sure to pay attention to the “Instructions” box. In addition to tips for creating the most effective text, you will sometimes also find helpful video instruction from Tim Berry. Every section is as easy as the one before – even the financial data (which many people dread tackling). LivePlan does all the calculation and formatting for you. All you have to do is input your raw data and add it to your forecast or chart, one piece at a time. It’s painlessly easy to create charts, tables and forecasts. 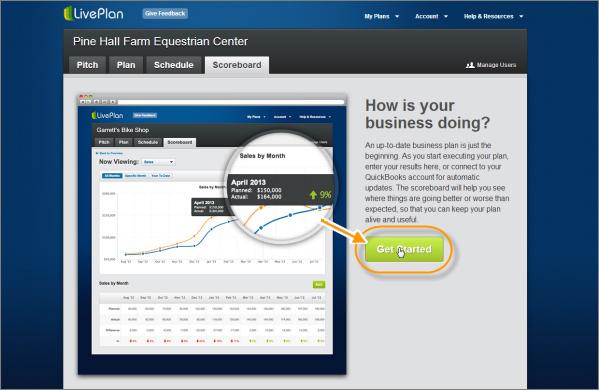 You can even connect directly to QuickBooks to integrate your data without having to manually input it. 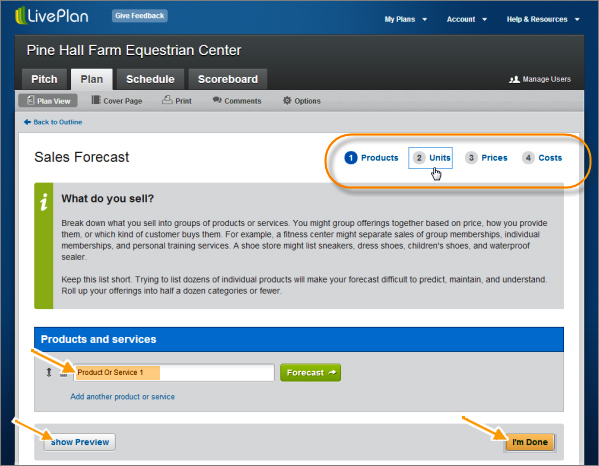 Scheduling – This is a wonderful feature, of which you can take full advantage. Your LivePlan Business Plan is a fluid, active document; and as your business progresses, you can refer to your Schedule and add achievements and Milestones. Your schedule can be a wonderful tool for making sure you proceed on track and on time. 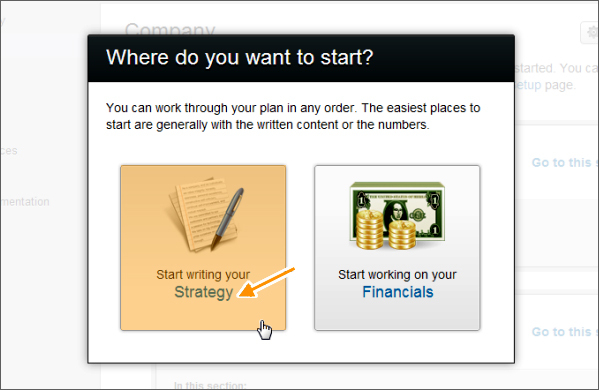 You can create as many business plans as you like, as well as returning to them any time to update, edit or even delete plans, simply by clicking on “My Plans” in your top menu bar. And that’s really all there is to it – everything is made easy as clicking a button. But wait, there’s more… Specifically, a Resource section. 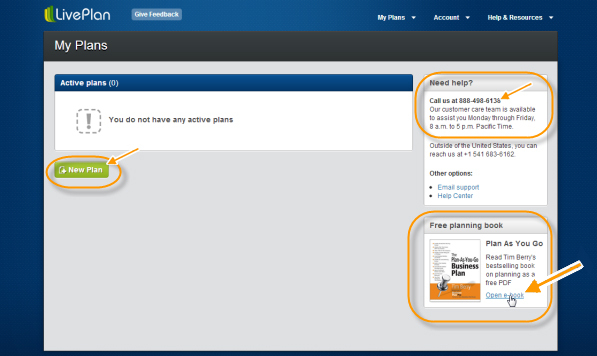 You can also send feedback to LivePlan. Finally, be sure to read the instructions above every textarea box in your planning Wizards. Not only do the instructions tell you specifically what to do and how to do it, you’ll also sometimes find helpful video links. LivePlan is much more than a piece of Business Plan software – it’s a resource kit, mentor and business education course, all in one go. You can cancel your account at any time… but with all the resources and its ease of use, you may find you don’t want to. When you do cancel your account, you retain access for the rest of your paid month. After that, your data is deleted. LivePlan has one more gem of a solution up its sleeve: It allows you to place your account “on hold” for however long you want, for a nominal monthly sum ($2.99 at time of writing). That way you retain all your data and archives – and you can restart your monthly subscription any time you like. LivePlan is a superb example of good business planning and growth – and that’s just one more reason why you will find it exceeds its monthly value.